MASSAPEQUA, Long Island -- Police on Tuesday arrested a man who they say dressed up as a clown and chased children with a stun gun at a Long Island park. 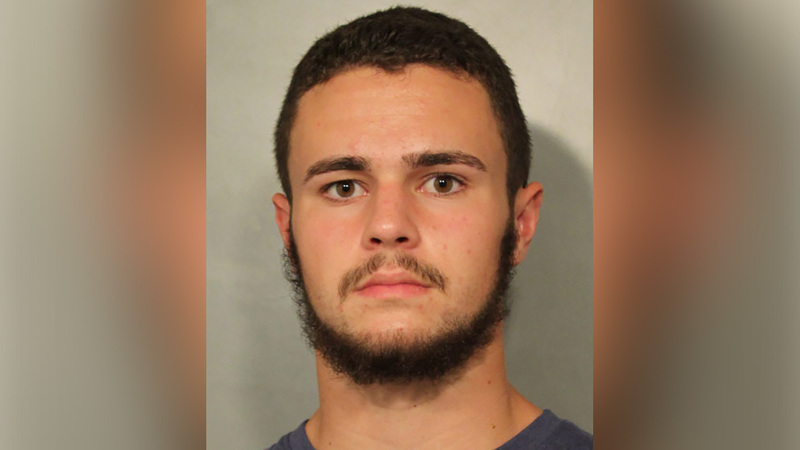 Officers responded to a call for a suspicious person in a vehicle parked on Peconic Drive in Massapequa just before 11 p.m., and they say 17-year-old Christopher Desousa was taken into custody after he was found with a clown costume and clown mask sitting in plain sight on the passenger seat. Police say four stun guns and a black jack were found in the vehicle. During the investigation, it was determined that Desousa was the suspect from an incident that occurred on Monday at John Burns Park during which he allegedly chased multiple juveniles with a stun gun while wearing the costume. Desousa is charged with five counts of criminal possession of a weapon. Detectives are requesting anyone that may have been a victim contact the Nassau County Police Department Seventh Squad at 516-573-6753. All callers will remain anonymous.